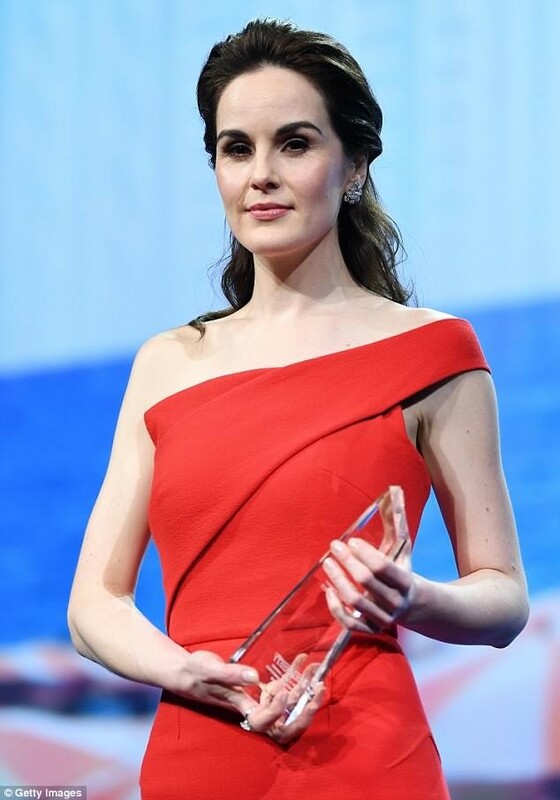 The Cannes Film Festival is about a month away, but Michelle Dockery got the glamour started early at the screening for ‘The Truth About The Harry Quebert Affair’ on Saturday (April 7) during the 1st Cannes International Series Festival in France. My jaw is still on the floor, as I am obsessed with every last centimetre of her look—starting with this red gown of asymmetrically draped and sculpted perfection. Even the zipper at the back was such a nod to modern elegance. Plus, that hot-pink carpet and backdrop only intensified the sizzle of this dress. And, we haven’t even made it to her striking swept-back hair and classically graceful makeup—not to mention the precisely placed diamonds.